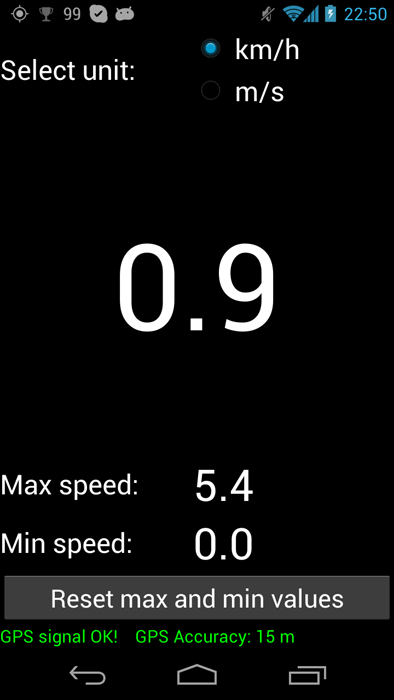 This is, just as the name suggests, a simple application that shows the speed. 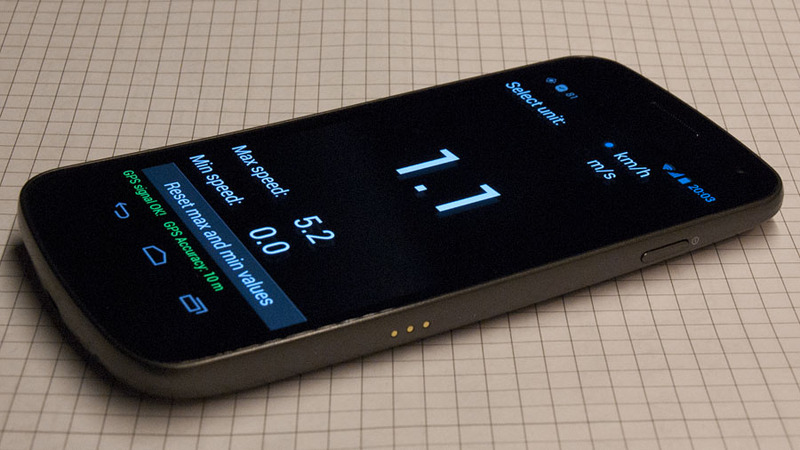 The GPS in the phone is used to measure the device’s speed. The user can select a unit to present the speed in. Currently only kilometers per hour and meters per second are available, but more alternatives could easily be added. Maximum and minimum values are also stored and displayed. Those values can be reseted with a button. The app prevents the device from going to sleep mode. To save battery on devises with AMOLED displays I have chosen a black background on the user interface. The application is programmed using eclipse. Both the source files and the APK-file for installing the application on your android device is available for download below.